Despite concrete action being taken in terms of awareness campaigns, helicopter surveillance, increased border patrol, etc. to combat rhino poaching, the latest figures highlight the brazen disregard poachers continue to have for the critically endangered rhino. 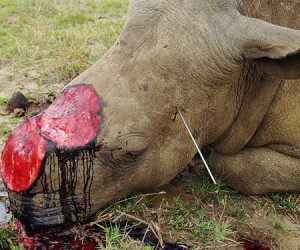 SANParks have released updated figures for 2013 on their website, showing the total number of rhino poached since the beginning of the year stands at 428 - with the figures in Limpopo increasing by 15 to 45 in the last week alone. The Kruger National Park has lost 267 rhino to poachers to date in 2013. 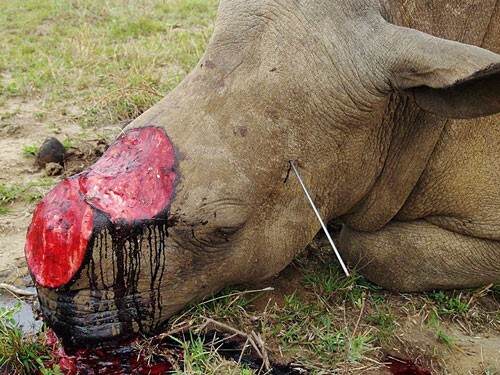 The number of rhino poached for their horns in North West since 1 January has risen to 48, while a total of 38 rhino have been killed in KwaZulu-Natal, 27 in Mpumalanga, 2 in the Eastern Cape and 1 in Gauteng. A total of 122 suspected poachers have been arrested since January. Of these, 57 have been caught in the Kruger National Park. Five alleged receivers have also been arrested.